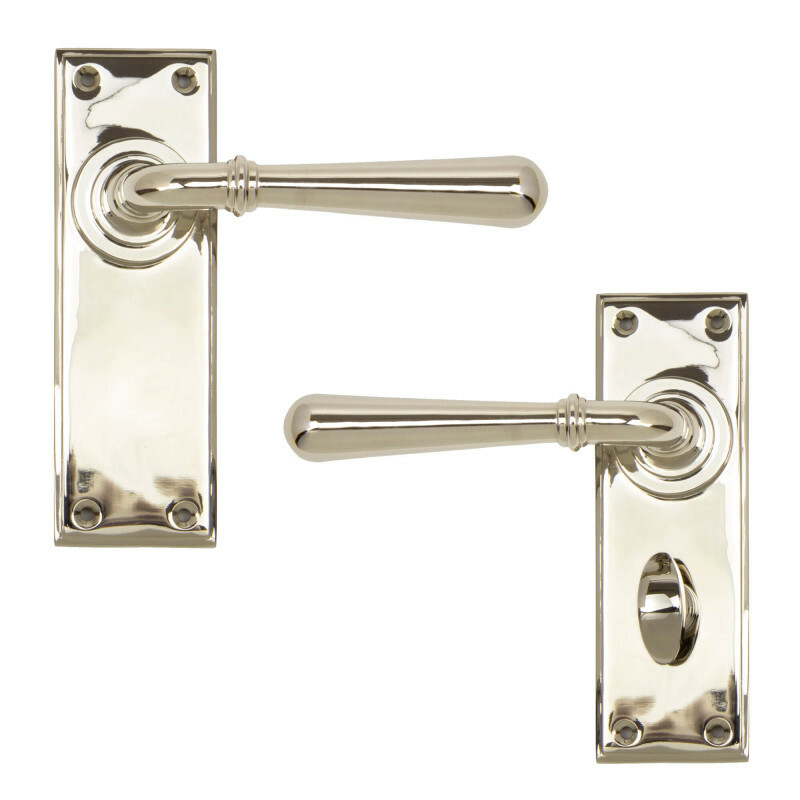 Stylish and modern, these Newbury Lever Handles Polished Nickel are available as on Latch plate or Privacy plate. If you need these sooner please contact us so that we can double check stock and advise on next day delivery options. A lovely, heavyweight pair of Newbury Lever Handles Polished Nickel, forged from solid brass, before being nickel plated. Available on a standard Latch plate or Bathroom Privacy plate. 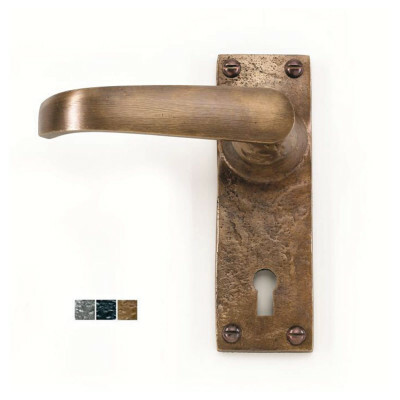 These door handles have a simple, stylish design make them perfect for period houses, country homes and more modern settings and with a range of window fittings to match you can create a co-ordinated look around your home. 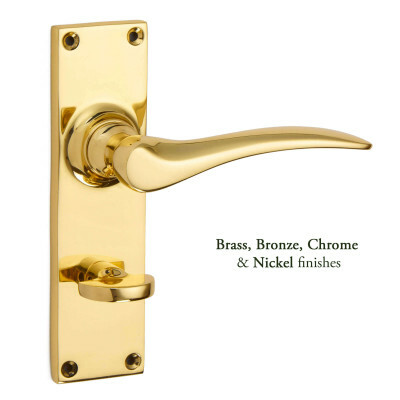 Polished Nickel - a highly polished finish. This Polished Nickel is unlacquered and is similar to polished chrome, but has a warmer tone that is closer to a true silver. Whilst nickel has excellent anti-tarnish qualities we still recommend that it is wiped with a lightly oiled cloth from time to time. This is to remove harmful deposits and maintain its original condition. This finish has been salt tested to 480 hours, which meets grade 5 British Standard. 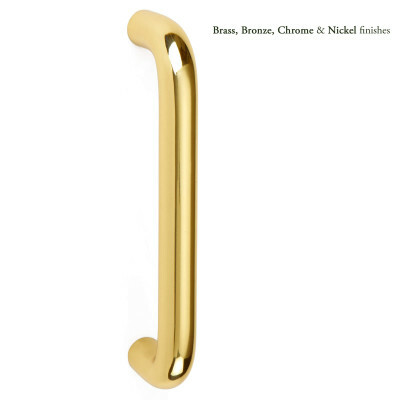 As these door handles are sprung they can be used with both standard and heavy sprung locks and latches. We would usually recommend a lock or latch size up to 80mm, otherwise the handle is positioned too far away from the edge of the door. 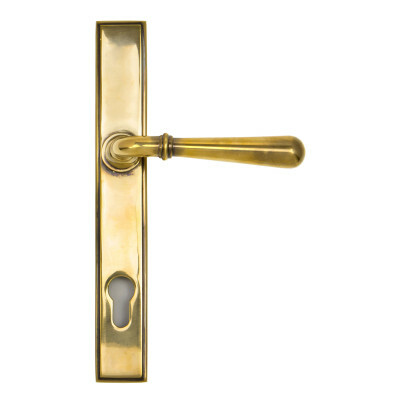 The Bathroom Privacy handle will need a bathroom deadbolt as well as a latch or a combined Bathroom Sashlock. Sold as a pair and supplied with matching fixings and a spindle. The screws supplied are hand finished, so please take care when fixing. Always use a pilot drill.